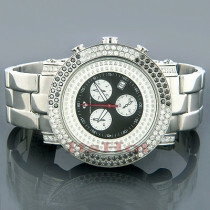 Fine Chronograph Watches! 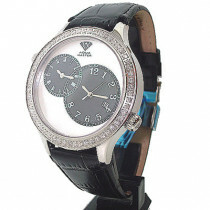 This Aqua Master Diamond Watch features 3 full carats of white diamonds set around the bezel and on the lugs, a silver stainless steel case and band, and a silver dial with 3 mother of pearl subdials. 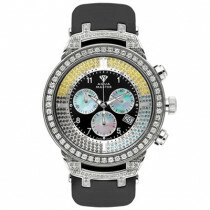 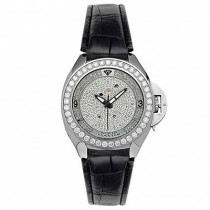 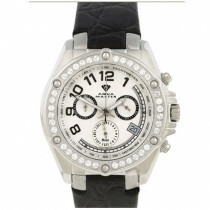 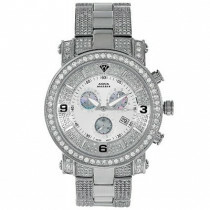 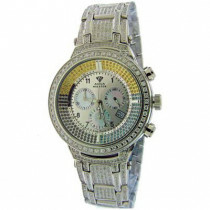 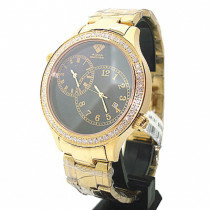 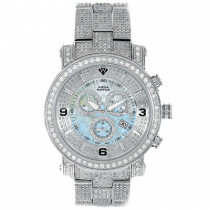 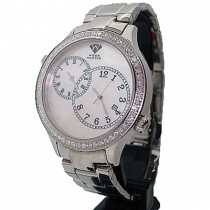 This unisex diamond AquaMaster watch showcases a fine Swiss-made movement and is water-resistant. 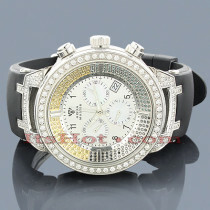 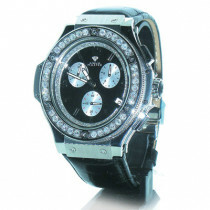 A: We are authorized Aqua Master dealers, all watches you purchase from us are real, authentic Aqua Master watches. 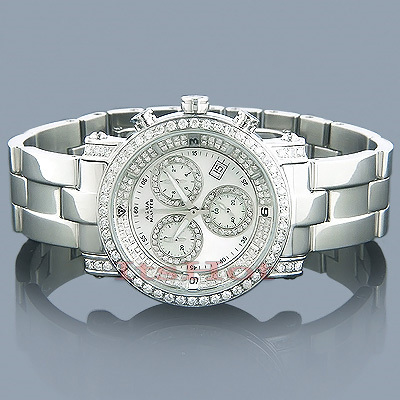 You can contact Aqua Master directly (information is on the warranty card) and inquire about our dealership status and watch authenticity.